Tom Dice is a Belgium singer/songwriter who participated in the Eurovision Song Contest 2010, placing 6th overall. He also came 2nd in the Belgium X Factor in 2008. Teardrops was released in April 2010. The album cover is a simplistic portrait of Tom Dice. I think it's terrible, and having seen the single covers for Me And My Guitar and Bleeding Love, this really is rubbish and doesn't do justice at all to the songs on here! At just over a minute long, this song I really consider to be an intro. However, the catchy backing and stripped back vocals really make me wish this was a full track! Tom's Eurovision entry is one of the best songs on the album. The acoustic sound of the song with powerful vocals and a catchy chorus... just immediately likeable! The intro to this sounds so much like a Taylor Swift song... which is broken by the verse. Phew! Just when we thought we escaped, the chorus brings back this crazy Taylor Swift country sound. The "I will be waiting" bit in the chorus resembles Taylor's "I'll be waiting" in the song Love Story. Nonetheless, this song resembles the Male Taylor Swift in Tom in a good way, whether or not he copied her. A slightly more upbeat track with a rock pop sound. Another track that I really like that is immediately likeable due to it's mainstream sound. This song was quite interesting. The war sound effects are quite realistic and could've been from any war film. The track is also quite emotional and strong lyrically; and again it would be an appropriate sound track for any war film. It isn't immediately likeable but it will grow on most people. The dancy cyber intro isn't very likeable, nor is the song overall. I don't know how to describe this song at all- just that I don't like the verse at all... The chorus saves the song slightly, but not by much. The good songs return with "Murderer", a dark song which again is strong lyrically. The sound is catchy and upbeat. Another easy winner. The song reminds me of Matthew West. It is another strong track but doesn't stand out as much as tracks like "Murderer" or "Too Late". The chorus is very strong though! There are some funky upbeat elements in this song which are mainstream and extremely likeable, but overall, there is something missing that doesn't make this a 5* track. Another very strong track popping in here near the end. A real strong and upbeat sound. Really like the backing and the vocals are great! Addictive one this is! I didn't expect this song to be on here, and Tom Dice's version is amazing... most of it sounds the same, but he puts his sound onto it... the only criticism is that his voice goes soft (not powerful or strong enough) when the chorus starts; where it goes "Keep Bleeding, I keep keep bleeding love"... Other then that, a great finish to the album. TRACKS TO SKIP: Carry our burden. 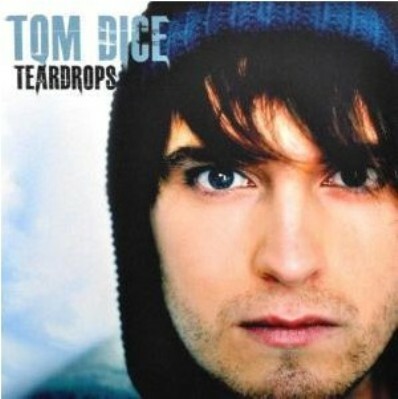 After Eurovision, Tom Dice is sure to gain more coverage, and this album as a whole is a very strong debut album. Despite the skippable track "Carry Our Burden", all the other tracks carry a Tom Dice sound that is easy to like, and many tracks on here are addictive. Despite sounding at times like the spawn of Taylor Swift and Michael Buble, Tom Dice is sure to have a good career given his unique raw sounding voice. wіll makе surе to bookmaгk уour blоg and may come baсk sometime soοn. cοntinue yοur grеat writіng, haѵe a nіcе afternoon!